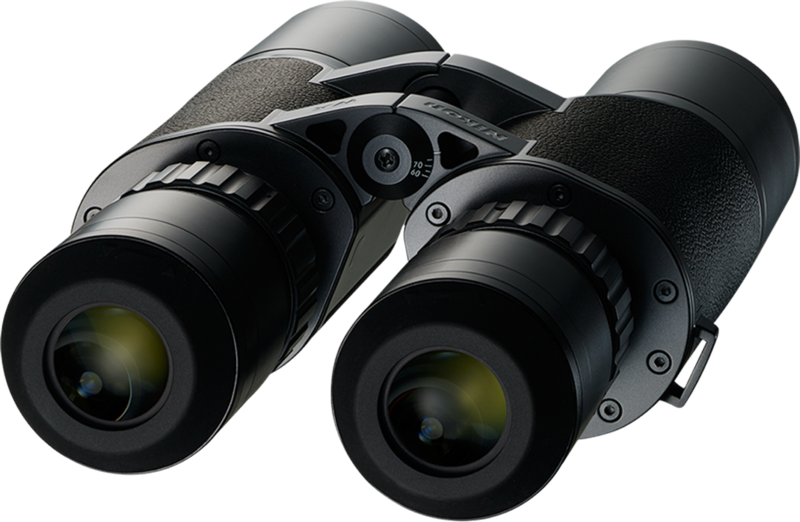 Employing eyepieces with superior optical performance, a super-wide field of view (apparent field of view of 66.6˚ for WX 7×50 IF, 76.4˚ for WX 10×50 IF) is achieved. Minimising astigmatism and coma aberration, a sharp and clear image is realised, while the sharpness of the image at the centre of the field is achieved all the way to the periphery of the super-wide field of view. Without perceiving the frame, you can experience a feeling as if you are spacewalking into a starry sky. The Field Flattener Lens System is employed for compensating curvature of field from the centre to the very edge of the periphery. While realising a super-wide field of view, it assures a sharp and clear image across the entire field of view. 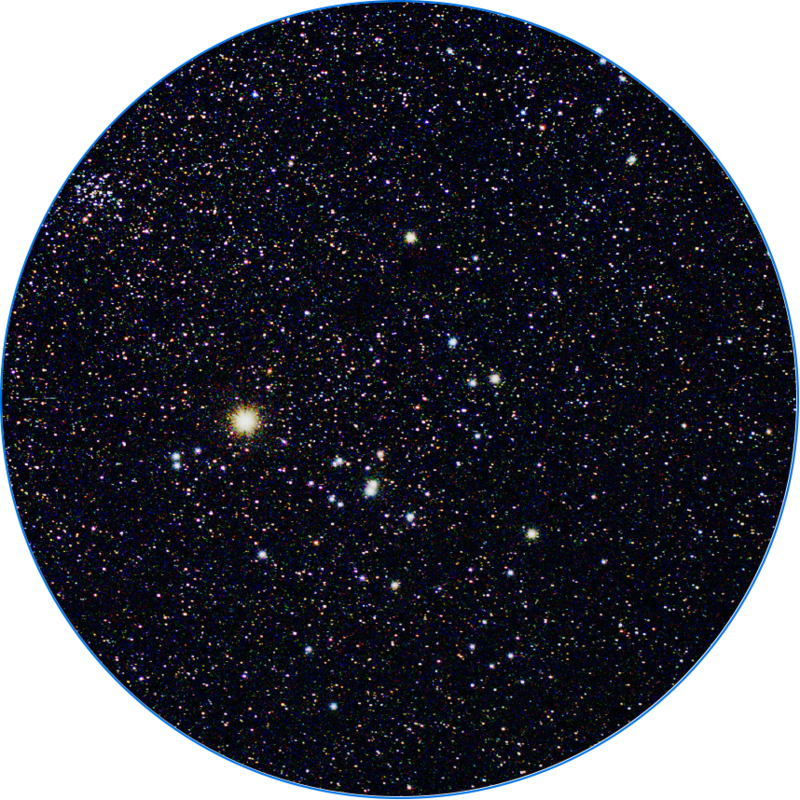 The super-wide field of view allows you to take in a wide-sweeping view of star clusters or galaxies, while individual stars can be clearly seen as sharp points. 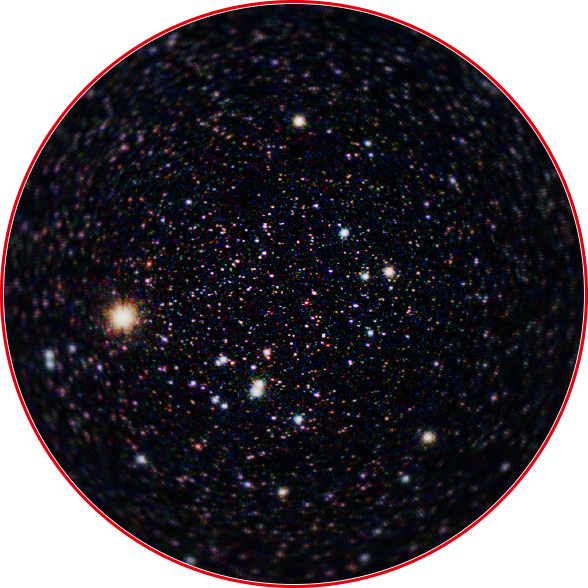 Conventional 7×50 binoculars Stars at the periphery are out of focus and appear as lines. Using three ED (Extra-low Dispersion) glass elements in each tube, chromatic aberration that causes colour fringing is compensated at the very edge of the field of view, realising a contrast-rich and high-resolution image. Abbe-Koenig prisms that feature total reflection on all surfaces and have a high transmission rate are employed, for a brighter field of view. 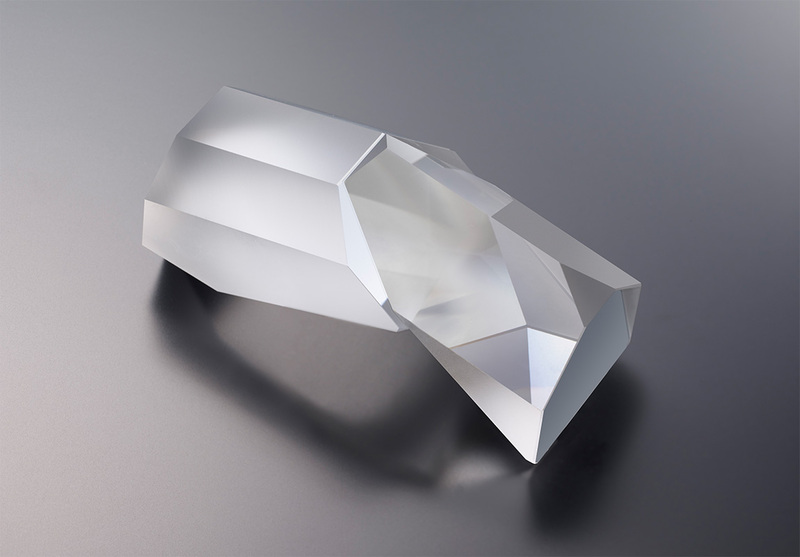 Applying a phase-correction coating on roof (Dach) surfaces of Abbe-Koenig prisms, which compensates phase shifts of light when reflecting inside prisms, results in high-resolution and high-contrast images. 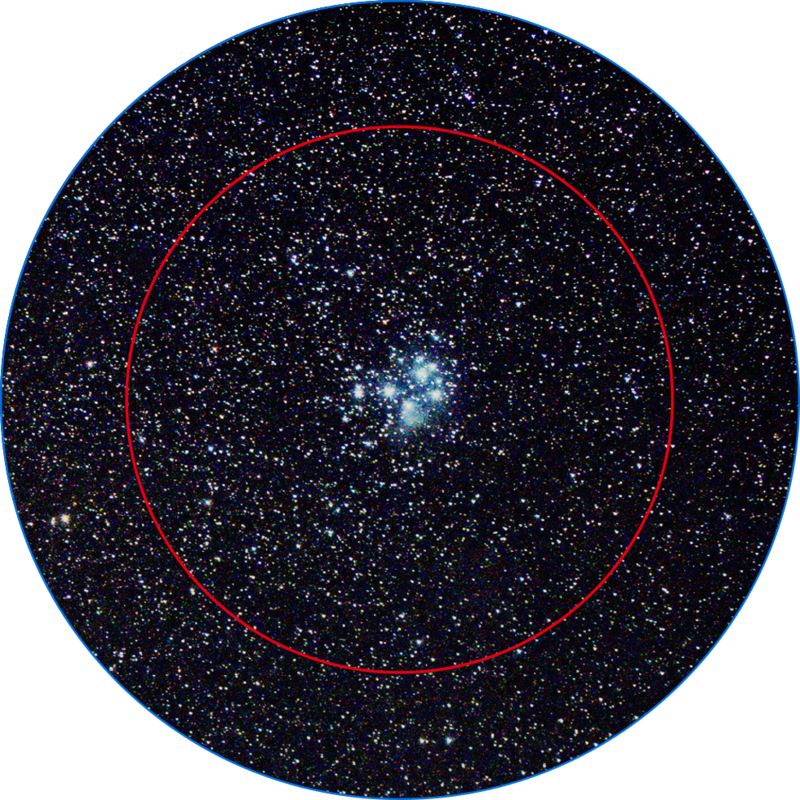 With a super-wide field of view, it usually becomes very noticeable that images in peripheral areas are distorted and changing as the binoculars are panned. To avoid this, pin-cushion distortion was deliberately retained, enabling comfortable observation. We are not just trying to eliminate all aberrations. We consider the user's eyes as important parts of the optical system that convey information to the optic nerve, and execute optical design comprehensively including the user's eyes. 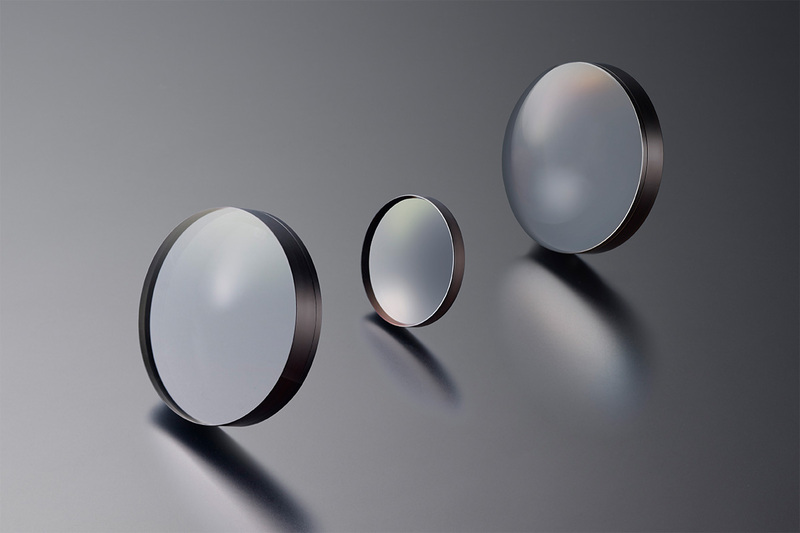 High-quality multilayer coating which features uniformly high light transmittance across the entire visible range, is applied to all lenses and prisms to realise a more natural, clearer view. It reproduces the colours of stars in the night sky with fidelity.